Zombie Outbreak Simulator – Games for Android 2018 – Free download. 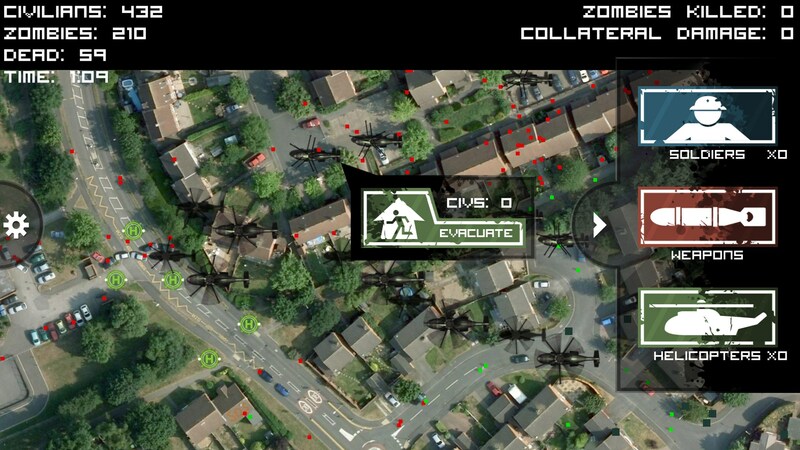 Zombie Outbreak Simulator – Google maps zombie apocalypse simulation. 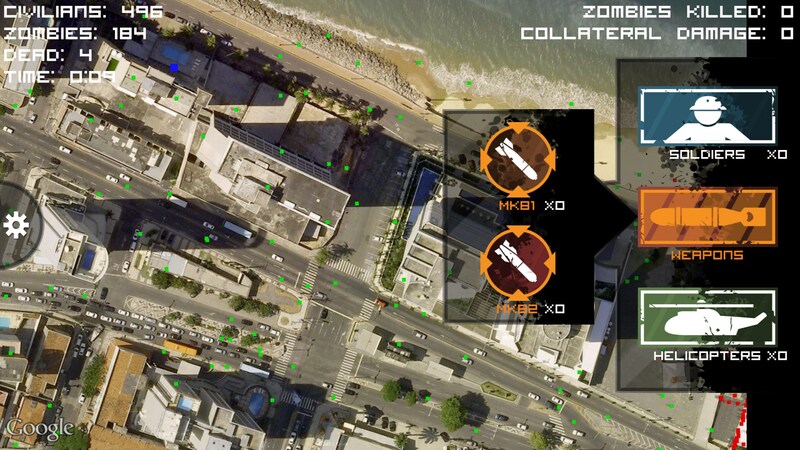 Zombie Outbreak Simulator for Android is a cool zombie apocalypse game that makes use of images from Google Earth to create a realistic zombie simulator experience. In this app you will be able to attempt to fight off zombie hordes across the globe with various equipment and military personnel. 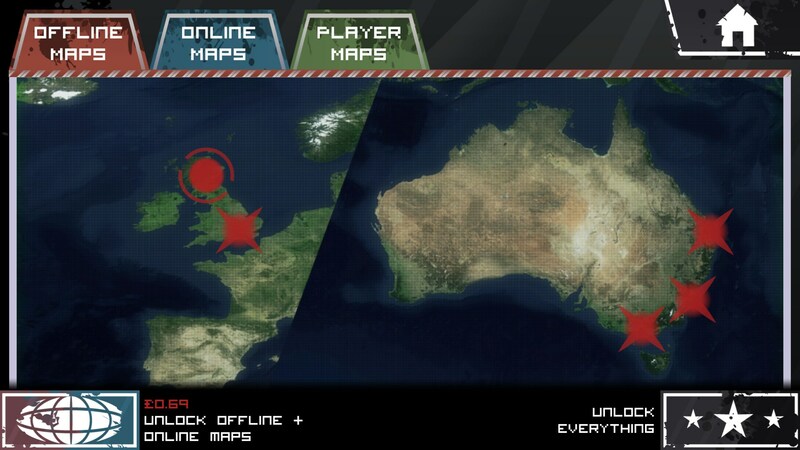 The main hub for this game takes place on a world map screen, and from here you will be able to choose different areas in the world to view. Choosing a country will then take you a portion of that area, and it will be shown to you as a bird's eye Google Earth style view. You can zoom in and out and access various items and military options from a side panel on the right. 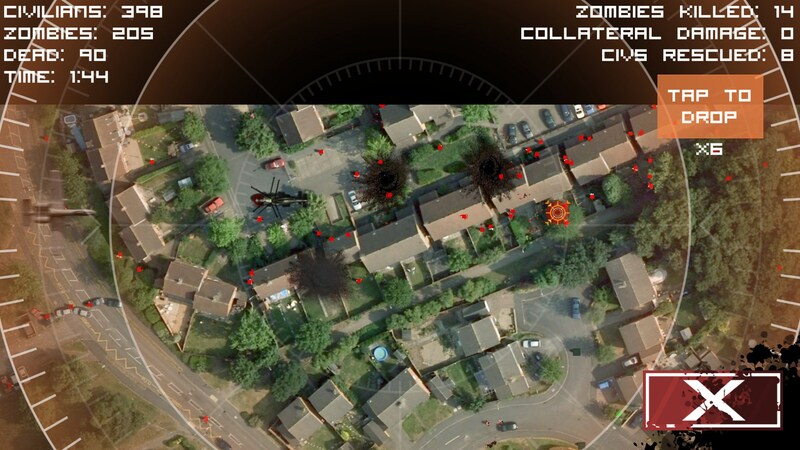 By zooming out completely, all of the zombies will be replaced with red dots, whilst the civilians will be replaced with green dots. 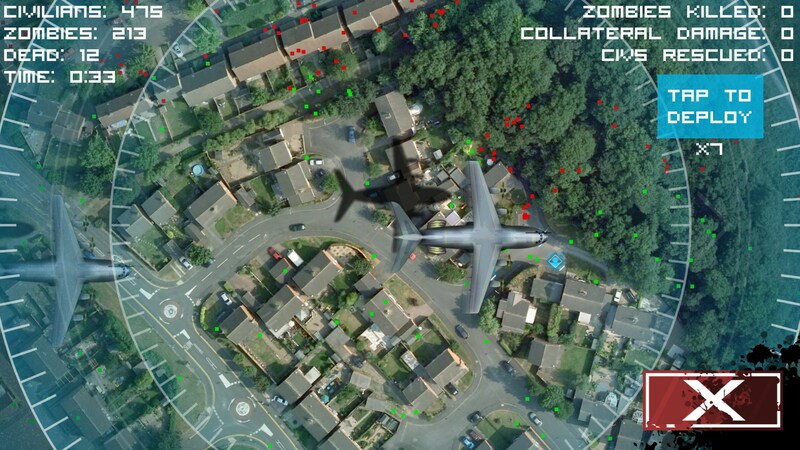 Zooming in further will reveal small models for each civilian and zombie. 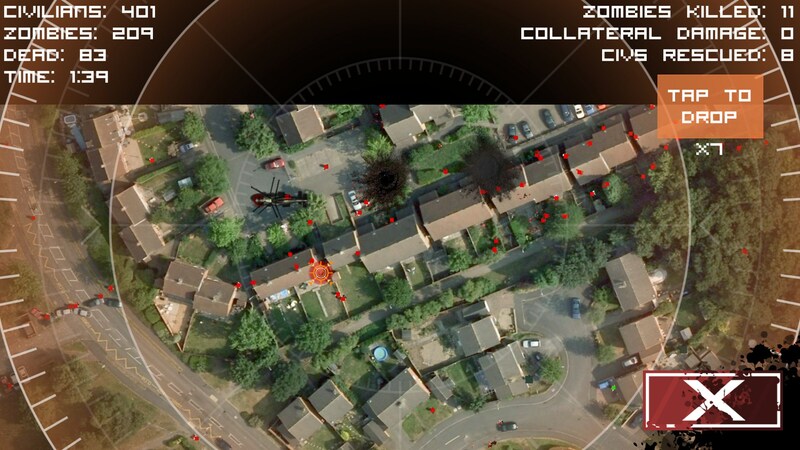 The objective of this simulator is to use the resources provided to eliminate as many zombies as possible whilst also attempting to rescue the civilians that are still left alive. If zombies manage to reach civilians, there is a high chance that they will also be turned to zombies. The constant threat of losing the civilians in each area makes gameplay challenging and quite tense overall. The graphics in this game are fairly simple, but they work well, and whilst the developers could have put in more effort here, the game runs incredibly smoothly, so it's a fair trade off. 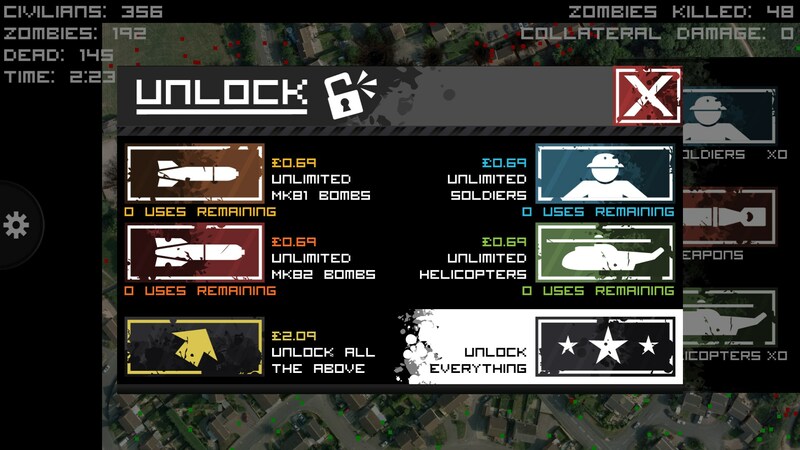 Unfortunately, the free version of Zombie Outbreak Simulator is more like a trial of the full game. You are limited to a very small number of soldiers, helicopters and weapons, and once these have run out you can't use any more items in the game unless you purchase packs.